Lippy Logic: Summer time already! 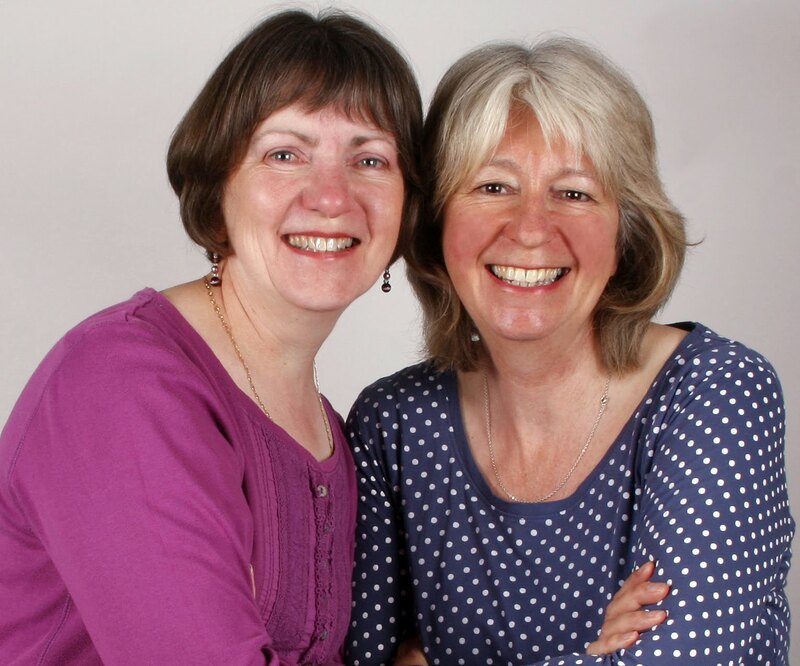 The combined talents and otherwise of Christine Hooley and Veronica Caperon. Proud to bring live theatre to your doorstep, they present their mad and moving sketches. Laugh-out loud comedy and touching drama - simply great entertainment! You'll be pleased to hear that we have not been idle. Oh no. Research, including such efforts as yoga -ouch! - fuelled by some cups of tea, the occasional cake or 4, and even Sally Lunn Bath Buns. And that's not all. You remember the success that the Lippy Logic veg plot has had at the annual Austwick Village produce show??? We just knew you'd be holding your breath to find out how we fared this year. 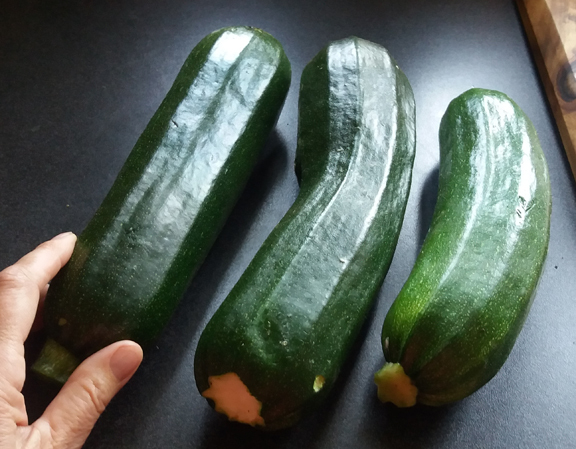 Well...it could well have run away with the courgette prizes again (so we hear) with these whoppers. Only they weren't entered what with work and holiday commitments, but they taste very nice all the same. 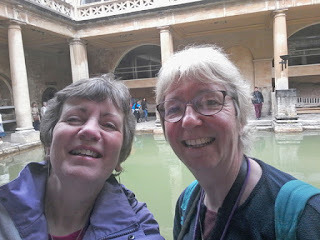 So watch out for our forthcoming show inspired by, oooo, our friend Jane Austen, Roman Baths, Scottish Borders, Buckler's Hard (look it up), wet and chilly weather, our new lithe physiques thanks to Iyengar yoga (they'll never believe that one Christine - Veronica) (Just show them the Roman Baths pic then V - Christine), and all the wit and wisdom we usually conjure up. Christine and Veronica - click photo for more pics! all material and photographs copyright Lippy Logic. Picture Window theme. Powered by Blogger.